Business analytics is more important than it’s ever been. With competition so fierce, the various business analytics software help businesses to see what is and isn’t working for them. This enables them to improve their growth and marketing strategies, as well as improve productivity by focusing on the things that matter, and the things that work. Although analytics trends come and go, there are a few that have been especially noticeable so far in 2017. Here, we’ll take a look at some of them. Gathering data is an automated process, and it’s usually what we use business analytics software for. This is the easy part. The hard part is deciphering that data and understanding how it can be used to improve your business. Data utilization, when done right, can help a business to set new goals and targets, reduce the cost of business processes, better understand customers, increase efficiency, improve customer satisfaction, increase sales, and much more. In 2017, we’ve seen a lot of businesses not only tracking their data, but utilizing it as well. In fact, it’s something that every business should now be doing in order to remain competitive. Due to the amount of data collected by businesses, it can be tricky to store it locally. Fortunately, the cloud makes it possible to store large amounts of data and access it from numerous devices. Cloud systems are easily scalable, so it’s possible for a business to purchase a small hosting plan and increase it as their storage needs increase. Due to it being readily available, it’s also affordable, and a lot cheaper than the old storage systems we saw just ten years ago. This is another trend we can expect to see continue well into 2018. Developing an in-house team of IT experts is unaffordable for most businesses. So, many opt to outsource instead. Data analytics companies can be found in your country, but you can also choose to outsource overseas for lower costs. 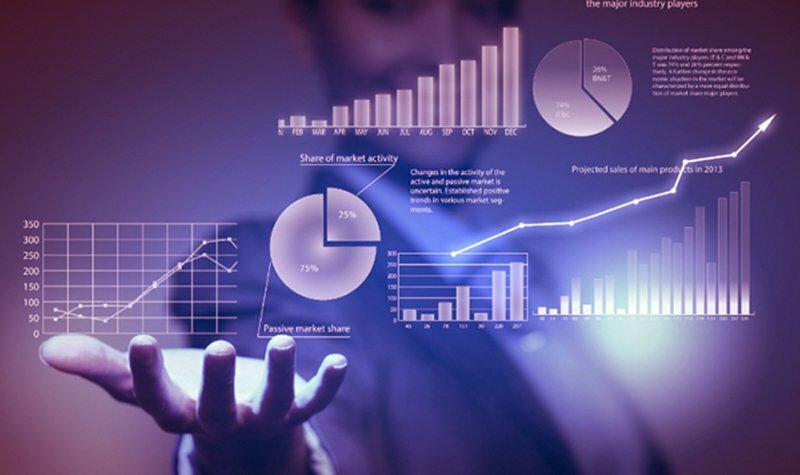 A data analytics company will be able to keep track of the data you are gathering, and explain what it means.This can often be valuable to CEOs and high level managers, as it can help them to implement more effective strategies to propel the business forwards. It seems like not a day goes by without news of data breaches reaching the news. Even the biggest companies haven’t been left alone, with AOL, Apple and LinkedIn all having security issues over the last few years. Businesses are now looking for ways to ensure their analytics are securer than ever before. Most analytics companies ensure that they are using the latest security standards. And with businesses more concerned about this than ever before, those who don’t apply these standards are being left behind. No matter what the size of your business, you need to be gathering analytics. The above are just some of the trends that we have seen so far in 2017. What Are Negative Interest Rates and How Do They Affect Me?